Happy New Year! I hope everyone had a wonderful holiday season, filled with friends and family, laughter and delicious treats. 2012 is here and I’m quite excited about the upcoming year here on Half Baked! So much has changed over the last year for this little cake blog…. so many talented individuals have shared their cakes, parties and recipes with us! I’ve personally been blessed with incredible opportunities to share my own work on a bigger stage. It’s been a year full of new challenges, new ventures, new contributors, and a new city. And with each and every post comes new readers and new friends! You all are what keeps me blogging… your kind comments, emails and likes! I could not be more grateful for all of the growth my little site has seen this year. It’s actually not so little anymore! Before we continue on with bigger and even better posts for 2012, I think it’s only appropriate to pause and take a quick look back at the last year. I’ve made my way through the 200+ posts from 2011 to find the posts you loved the most. 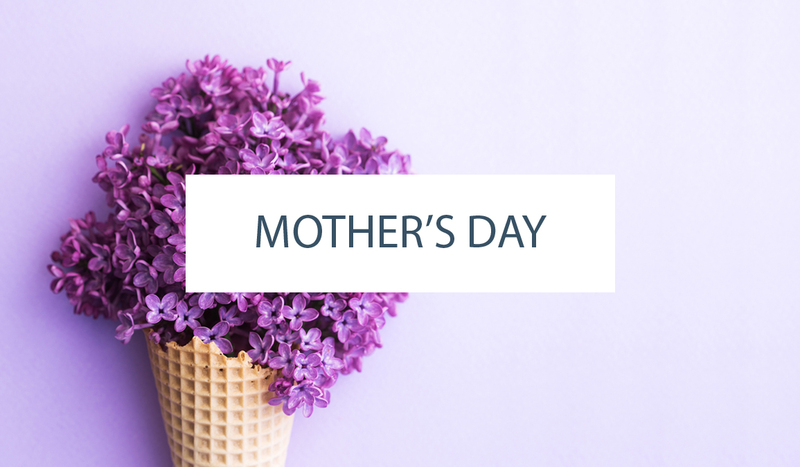 Based on your page views, here are your favorite 16 posts, in no particular order. Plus 4 of my own personal favorites. It’s a quick year in review…. The Top 20 Posts from 2011! 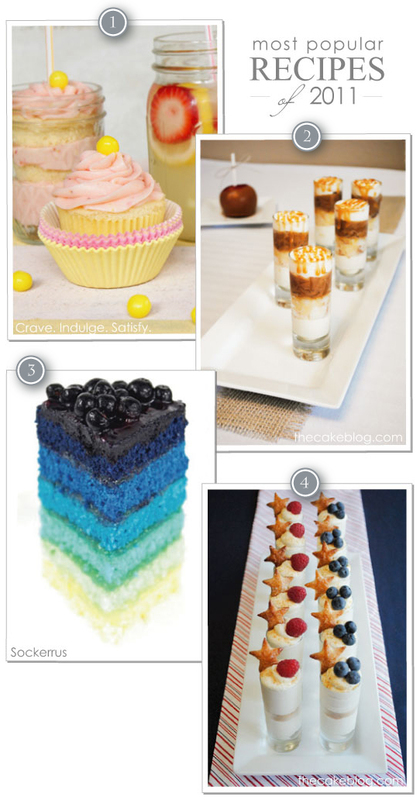 The top Recipes of 2011, based on your page views…. 1. Strawberry Lemonade Cupcakes : created by our contributor, Lauren of Crave. Indulge. Satisfy. 2. Caramel Apple Cake Shooters : created by yours truly, for my daughter’s 1st birthday party. 3. Blueberry Rainbow Cake : created by Lisa Lundqvist of Sockerrus. 4. Puff Pastry Stars : created by yours truly, for a guest post on Hostess with The Mostess. 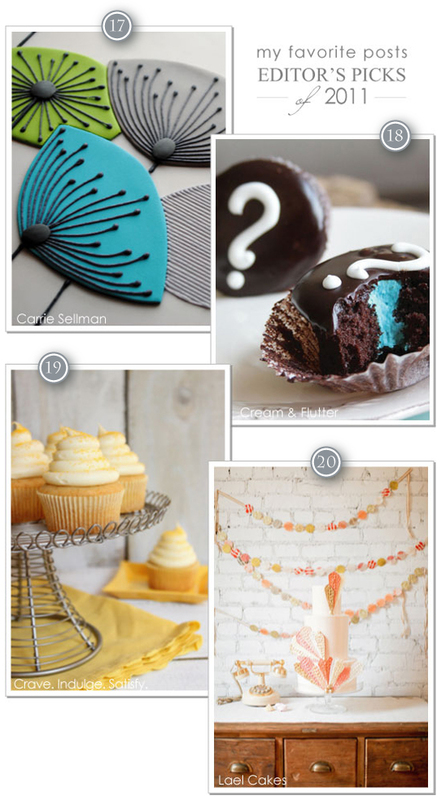 The top DIY Projects of 2011, based on your page views…. 5. Paper Rose Cake : created by our contributor, Miso of Miso Bakes. 6. Modern Christmas Cookies : created by Callye of The Sweet Adventures of Sugarbelle. 7. Vintage Milk Bottles : created by yours truly, as part of the MILKaholic Baby Shower. 8. Cupcake Liner Witch Hats : created by yours truly, for Halloween party inspiration. 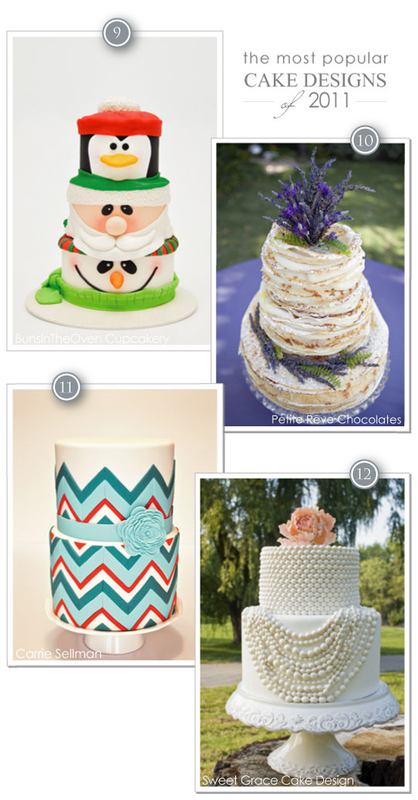 The top Cake Designs of 2011, based on your page views…. 9. Santa, Penguin, Snowman Cake : created by Sheryl Ong, owner of BunsInTheOven Cupcakery. 10. 300 Layer Crepe Cake : created by Kate Dunbar, owner of Petite Rêve Chocolates. 11. Chevron Cake : created by yours truly, for the November issue of BRIDES Magazine. 12. Coco Chanel Pearl Cake : created by Lisa Rochelle, owner of Sweet Grace Cake Design. The top Parties of 2011, based on your page views…. 13. 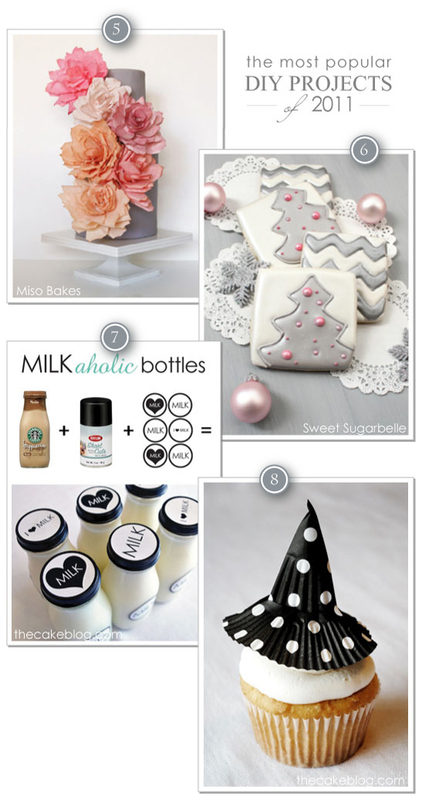 MILKaholic Sip & See : created by yours truly and featured on Hostess With The Mostess. 14. 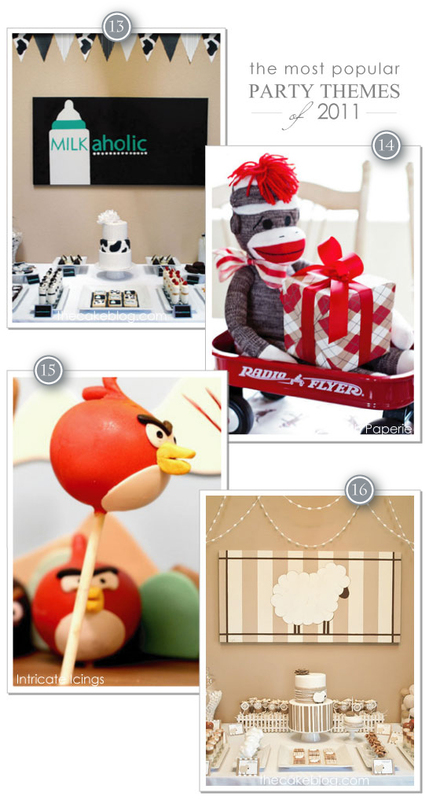 Sock Monkey Baby Shower : created by Elizabeth Seaton of Posh Paperie. 15. Angry Birds : created by Debbie, of Save the Date Events with a cake by Intricate Icings. 16. Little Lamb Birthday : created by yours truly and featured on Hostess With The Mostess. And last but not least, my personal favorites of 2011…. 17. Retro Cafe Flowers : created by yours truly for BRIDES Magazine’s 20 Most Beautiful Cakes. 18. Gender Reveal Cupcakes : created by Trisha and Amanda, co-owners of Cream & Flutter. 19. Honey Cupcakes : created by our cupcake contributor, Lauren of Crave. Indulge. Satisfy. 20. Peaches & Cream Cake Trio : created by Emily Lael Aumiller, owner of Lael Cakes. As we usher out 2011, I want to thank each of you for reading and following Half Baked. I hope you’ve enjoyed this last year as much as I have! Hold tight, because 2012 will be another great year with even more cake, baking and party inspiration headed your way! I’ll continue to blog, as long as you continue to read. Half Baked is my go-to for baking inspiration…. thank you for writing! I’ll definitely keep reading!! 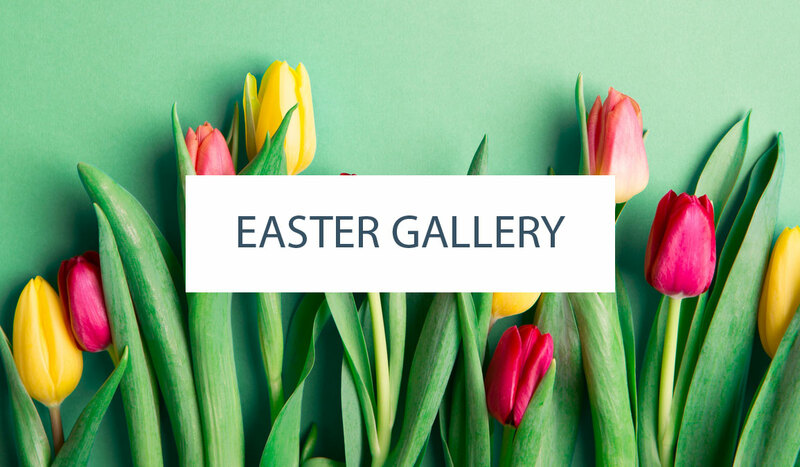 Always love your blog posts … full of inspiration! I look forward to checking your blog weekly. You always share such wonderful ideas. My little girls 3rd bday is coming soon, so I’m sure I’ll be using some of your ideas. Thanks a bunch! Ps. I made the Honey cakes and they were loved by all! WOW! What an amazing year for Half Baked! So many wonderful sweets, cakes and party designs! I am so honored that you asked me to be a part of your blog! I can’t wait to see what you plan to share with us in 2012!